Many movies were made in 1950’s; I enjoyed watching the lead actors and mainly actresses of that era essaying the roles with their own screen brilliance… One that comes to my mind is “Audrey Hepburn”. 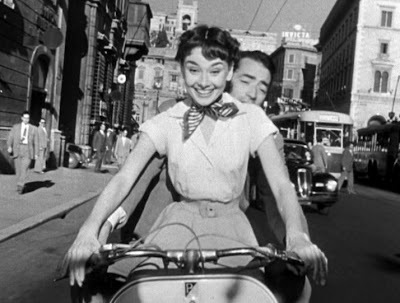 I had watched Sabrina and Charade before I could get a grab on “Roman Holiday”. Her portrayal of Princess Ann was picture perfect. Her boredom of being the princess and not getting a chance to lead the life she wanted made her uncomfortable, almost every time. She decides Rome to be the place; for her to escape from the monotonous routine and get a breather. 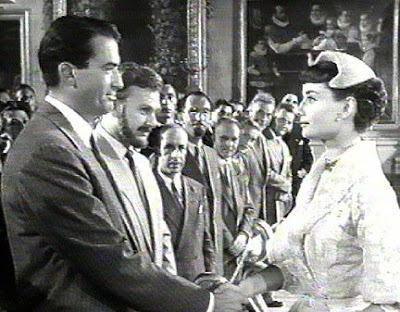 She happens to bump into Joe Bradley (Gregory Peck), a press reporter who is in serious need of a story. His discovery of Princess Ann makes him interested all the more than just be captured by beauty. And she was unaware of his motives. Princess Ann: I could do some of the things I've always wanted to. Princess Ann: Oh, you can't imagine. I-I'd do just whatever I liked all day long. Joe Bradley: Tell you what. Why don't we do all those things, together? Princess Ann: But don't you have to work? Joe Bradley: Work? No. Today's going to be a holiday. Princess Ann: But you want to do a lot of silly things? Joe Bradley: [He takes her hand] ... First wish? One sidewalk cafe, coming' right up. I know just the place. Rocca's. She wants to tour Rome…. Smokes her first cigarette, Dance, have a haircut, ride a Vespa, swim, and what not…. Basically, she wanted to have a holiday just the way she would have preferred. Photos were clicked; most of them would have been an embarrassment for the princess but a fortune for Joe and his photographer friend. This is just one of them. As the day comes to an end, Romance does creep in…. And it was in the end when she realizes it is just about the time to get back, she asks Joe to drop her back. Joe knew, and he didn’t try to stop her. Suddenly the motive of using photographs didnt seem to be the way to go. Princess Ann: I have to leave you now. I'm going to that corner there and turn. You must stay in the car and drive away. Promise not to watch me go beyond the corner. Just drive away and leave me as I leave you. Princess Ann: I don't know how to say goodbye. I can't think of any words. Princess Ann: At midnight, I'll turn into a pumpkin and drive away in my glass slipper. Joe Bradley: And that will be the end of the fairy tale. The last part when Princess Anne comes in terms with her responsibility openly faces the press of Rome. She gets to see Joe and his photographer friend. Reporter: And what, in the opinion of Your Highness, is the outlook for friendship among nations? Princess Ann: I have every faith in it... as I have faith in relations between people. Joe Bradley: May I say, speaking for my own... press service: we believe Your Highness's faith will not be unjustified. Princess Ann: I am so glad to hear you say it. Another reporter: Which of the cities visited did Your Highness enjoy the most? Princess Ann: Each, in its own way, was unforgettable. It would be difficult to - Rome! By all means, Rome. I will cherish my visit here in memory as long as I live. The last handshake before they part ways. And the long walk wondering ........ which makes us wonder .... "What If???" The highlight of this movie is this scene for me: Such beautiful improvisation by Gregory Peck towards the end. A lot has been expressed in this scene… And this to me is the favorite scene in the movie…. 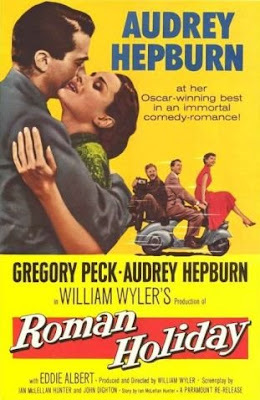 Rather than narrating.... Its worth watching this classic.....Released in 1953, Roman holiday was the biggest grosser and an all time classic. Starring: Audrey Hepburn (debut as leading actress, and eventually won Best Actress Oscar), Gregory Peck whose expressions and deep voice is simply breathtaking. Watch out for the Vespa adventure. And this film is entirely shot in Rome, Italy.